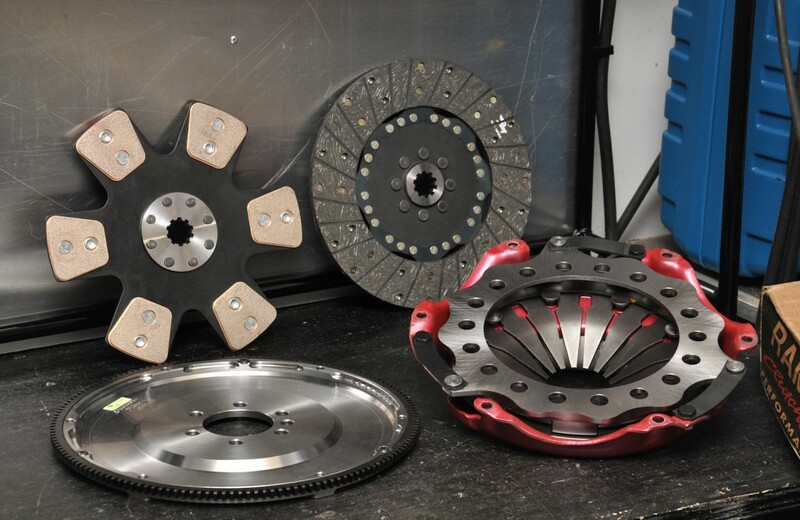 Racers frequently face the inconvenient fact that some clutch-flywheel assemblies are so light they fail prematurely, often during the taxing process of getting the car into the trailer. 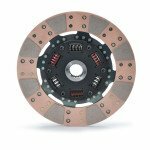 Curiously, most professional clutch makers agree that you quickly reach a point where the ultra light clutch unit has no advantage at all and instead its arch attribute, lightness, undermines the process bringing decreased durability. A stroke of marketing brilliance some might say! Racer purchases ultra light clutch, racer quickly destroys ultra light clutch, racer purchases successive ultra light clutch. You may think racers would resent these dubious practices, but there is no evidence to suggest they do. In all likelihood if you added a little strength to the unit you would probably gain 50 percent greater clutch longevity without any perceptible loss in power. 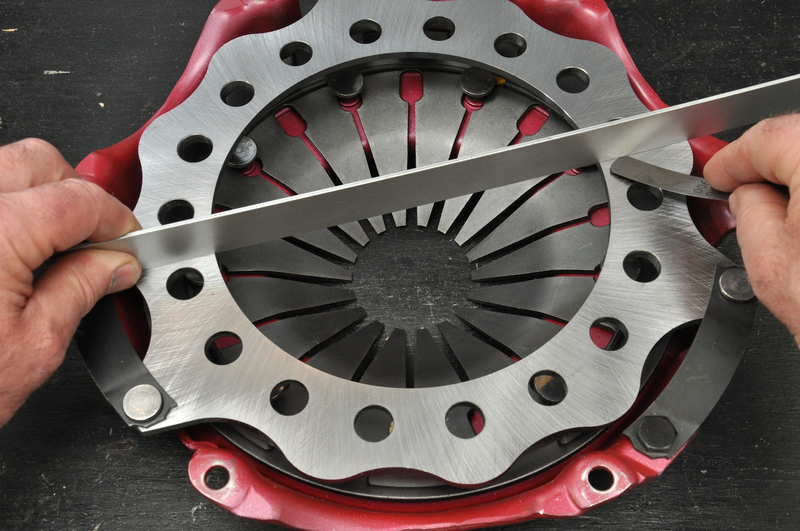 In either case, to reduce these often unnecessary costs here are a few tips intended to prolong the life of the racing clutch. Probably the most persistent clutch killer strikes when the racer is on his own. Without crew members or a winch to assist, he is often obliged to load the car by himself. So he slips his thin, thin lightweight clutch a couple of times and as it colors dark blue its end is nigh. To minimize clutch damage during loading and unloading without crew members it pays to use a winch. Of course, the amount of wear on all racing clutches is largely determined by how much the slippage is provoked during takeoff. Excessive slippage will cause premature warping, especially in lighter components. 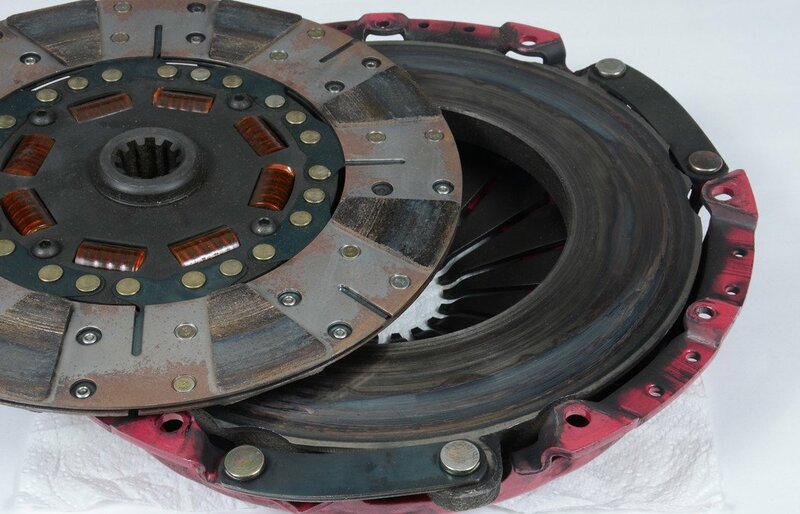 Obviously, clutch life can be prolonged extensively by minimizing clutch slippage on takeoff. And getting the car rolling and engaging it without hesitation is a good start. Other factors that have a detrimental effect on clutch life include the weight of the vehicle, gearing and the number of gears employed. Heavier cars, for example, invite clutch slippage to gain momentum. Higher gearing (lower numerically) also provokes clutch slippage during take off. And transmissions with gears removed, like those running 3rd and 4th gears only in an effort to reduce drag and save a little weight, sustain appreciably more slippage on takeoff than desirable. 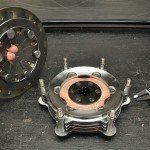 In addition to adopting smarter driving techniques that prolong clutch life, it’s smart to know how to inspect and maintain the racing clutch assembly. Here’s how to do it. 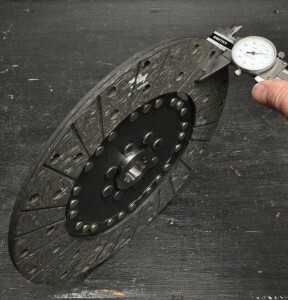 1) Flatness of the flywheel is critical. The lighter the flywheel, the more susceptible it will be to warping. 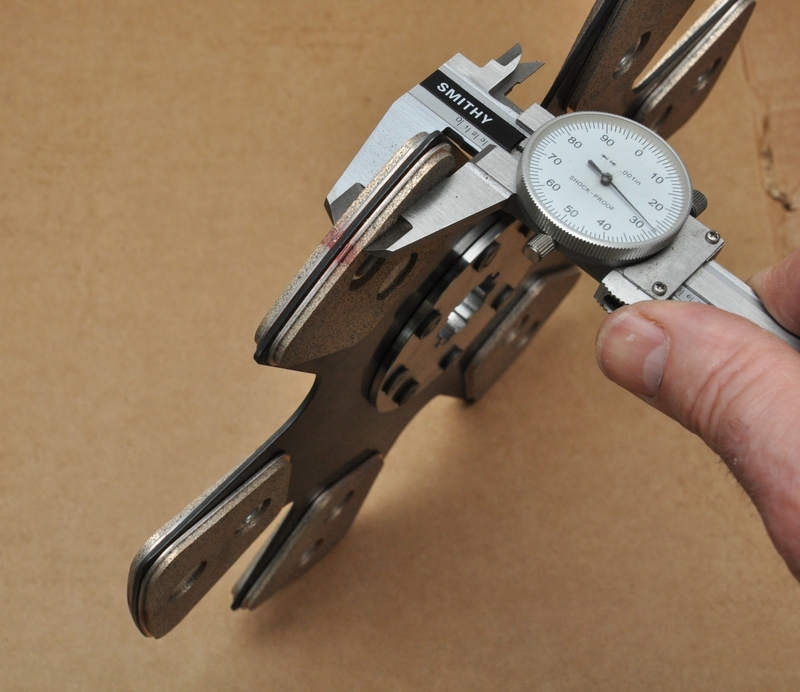 Flywheel warping should not exceed 0.015 to 0.020in. 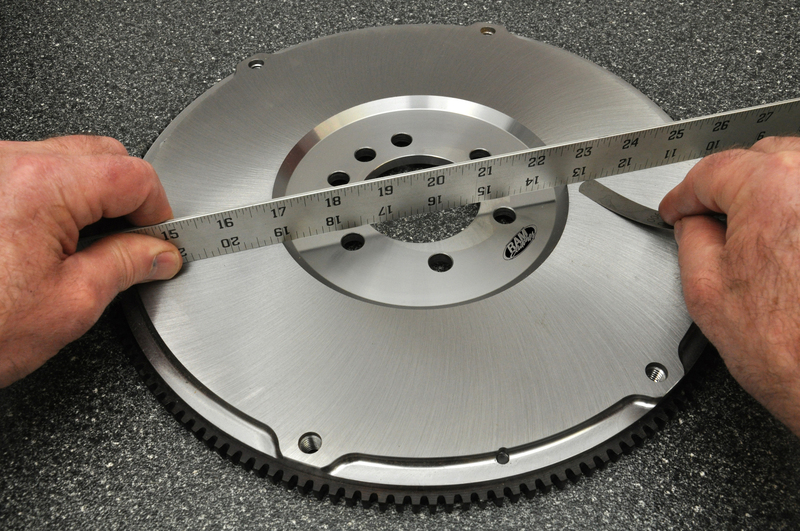 2) Some lightweight or scalloped flywheels may not have sufficient surface material to allow re-grinding. This judgment is based on how much heat the system has been exposed to and how much warping is present. 3) If severe warping, bluing, or smearing is visible, the flywheel must be replaced. As a general rule, if there’s evidence of bluing on the backside of the flywheel, replace it. 4) Flywheels otherwise may be resurfaced up to a maximum of about 0.030”. 5) Finally, ensure the flywheel is surface-ground and not machined on a lathe. A lathe will not provide a sufficiently flat surface for the clutch disc to seat and operate properly. 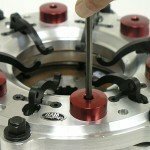 1) The fingers of the cover assembly—the tips where the release bearing makes contact with them—should not exhibit any grooving or excessive wear. If such were the case it would indicate the release bearing is adjusted too close or is constantly riding the clutch fingers. 2) Check the pressure plate for warping. Using a straight edge, warping should be less than 0.010in. To make their pressure plates less susceptible to warping and candidates for rebuilding or resurfacing, Ram uses thicker pressure plates on some of their stock-style covers. 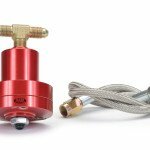 These units are supplied under part numbers 401, 401CT, 1675, and 1675L. 3) On the other hand, highly modified lightweight stock-style covers with lightened pressure plates, like PN 851 shown, usually offer insufficient material for resurfacing. Thus if warping exceeds 0.015 to 0.020in the unit needs to be replaced. (PN 801) can be resurfaced or rebuilt. Original equipment metallic discs pads measure 0.325in. Pads should exhibit a blackish finish from use. However, any deep bluing indicates extensive slippage and should be rebuilt or replaced. Original equipment organic discs measure 0.315in. 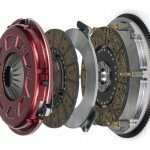 Excessive shininess or smearing of the friction material indicates slippage and the clutch disc should be rebuilt or replaced. materials. Thus they are less likely to distort the disc. It follows they also combat abuse better hence they last longer.